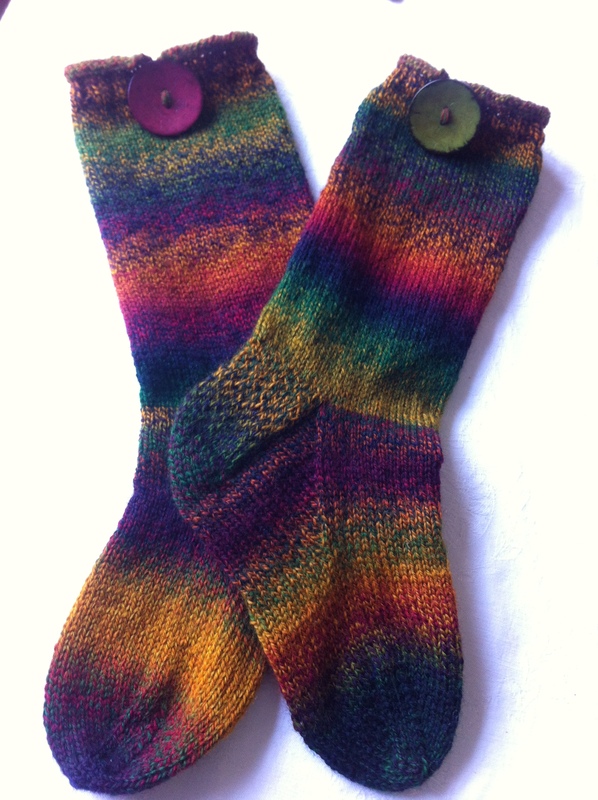 "Mind the Gap" socks and twisted, two-colur stitch fingerless mittens. Firstly, a new venue in Ipswich. 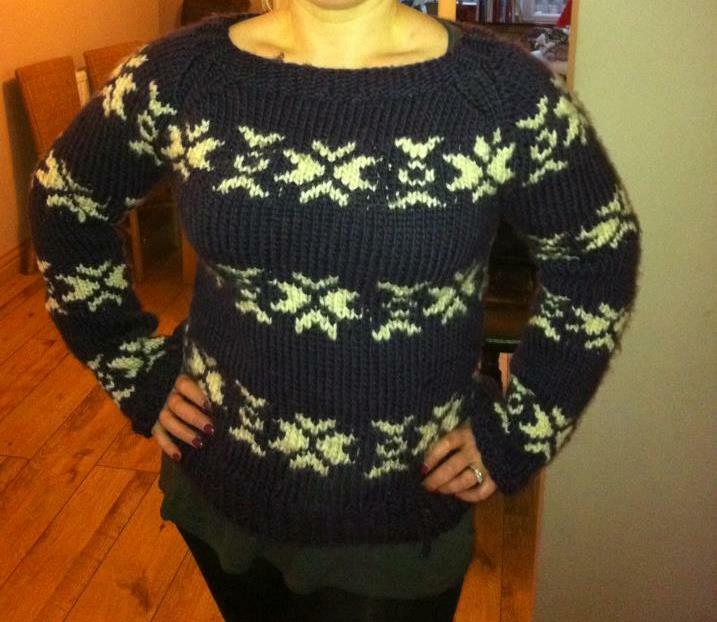 Check out Jenny Wren's Yarns. 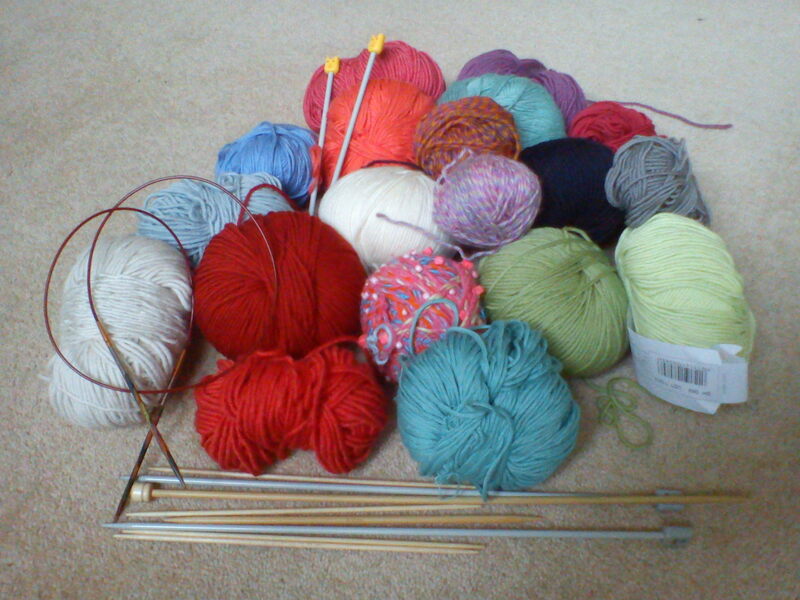 Secondly, let me encourage some of you out there to be adventurous and extend your knitting skills. Check out Brioche, Rovaniemi and Latvian classes...should be fun!! For more details and booking contact the venue or me direct via email or phone. Fair Isle sock from the V & A archive. A fabulous visit. ESTONIAN LACE samples done by talented ladies in Cambridge, proudly showing their NUPPS (bobbles) in the lily of the valley pattern. Brioche knitting is a technique that produces a beautiful stretchy double side fabric. We will cover basic ways of casting on and off for this technique as well as consideration of the selvedges. We will begin with one colour and then explore the effect of using 2 colours. Once confident with that (!) we will learn how to increase and decrease, looking at the effects produced. 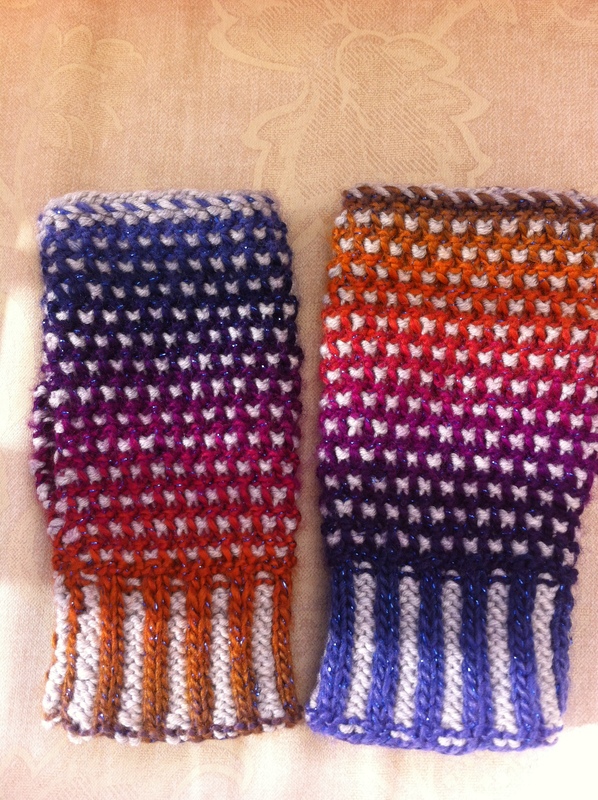 Gillian will then have patterns for wrist-warmers or mittens that you can start on. Materials to bring (or buy on the day): a pair of 4mm needles and 2 balls of dk yarn, preferably wool/wool mix, in different colours. Work produced in class...really impressive! And what a great day we had. I was really pleased to host it! A fun, simple technique suitable for all levels of knitters. We will discuss the process of “fulling” as it is technically known (it is what happens when you put your cashmere jumper in a hot wash by mistake!!). We will look at what types of yarn to use / avoid, how to create textured surfaces and how to produce the correct size of article. We will discuss ways of both embellishing items and using fabric produced. 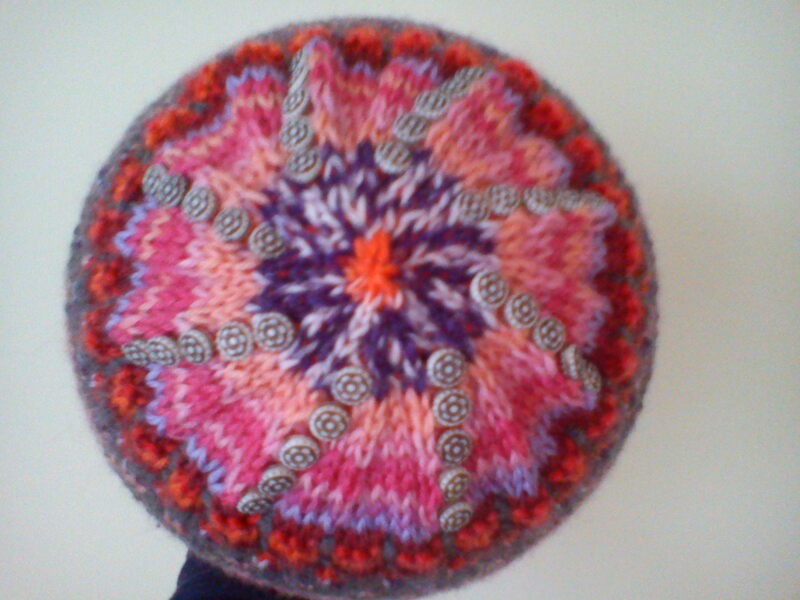 Gillian will have a range of hat/bag patterns for you choose from. 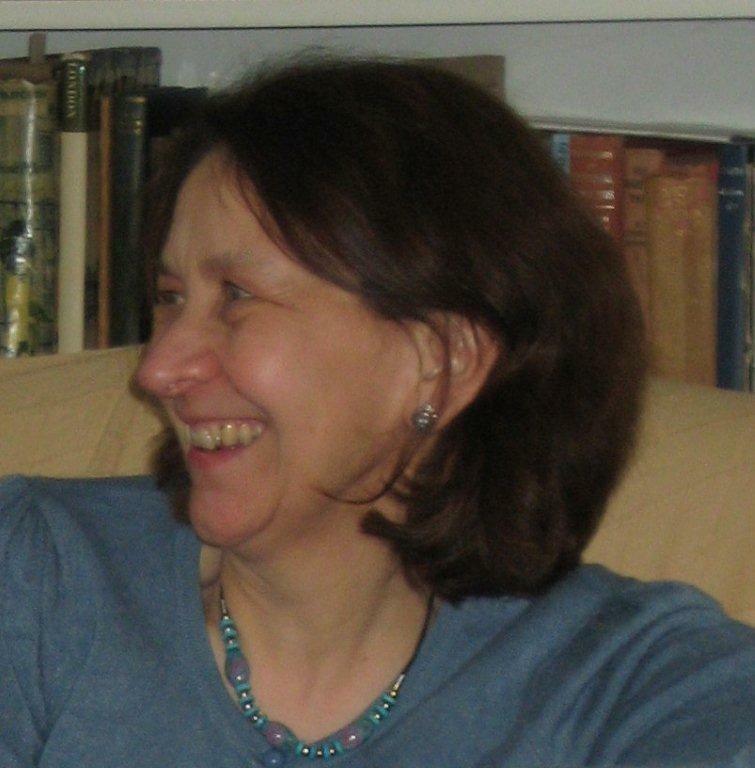 Gillian will help you to adapt the patterns to conventional 2-needle knitting if you do not feel confident with a circular needle on the day. Do you like beads and sparkly things?! 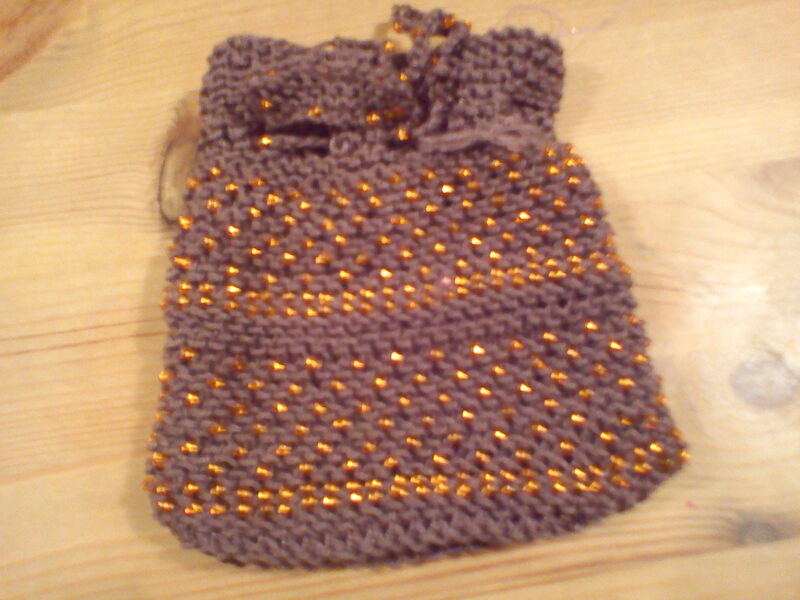 Come along and learn different ways to add beads to your knitting. 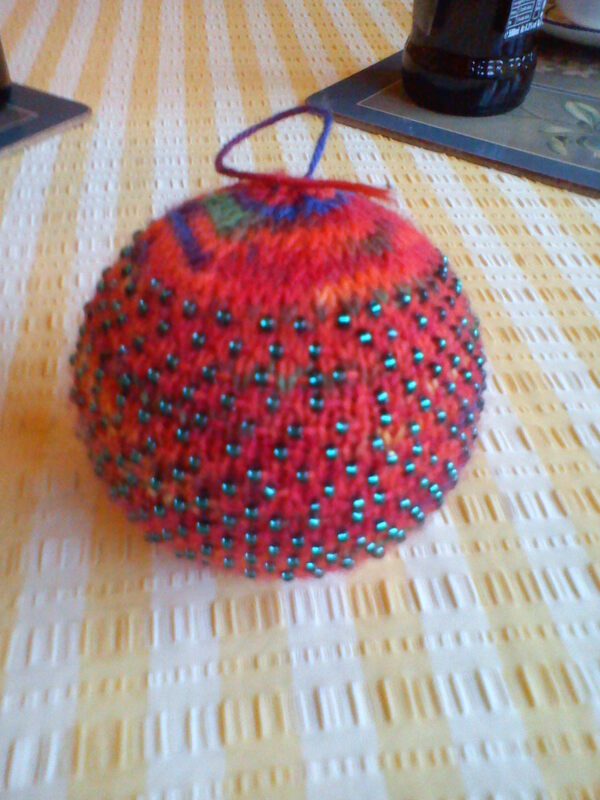 We will learn how to knit a sphere shape with beads knitted in which can either be stuffed or stitched round a polystyrene ball. Result? A beautiful beaded item ready for Christmas. Two days of classes. 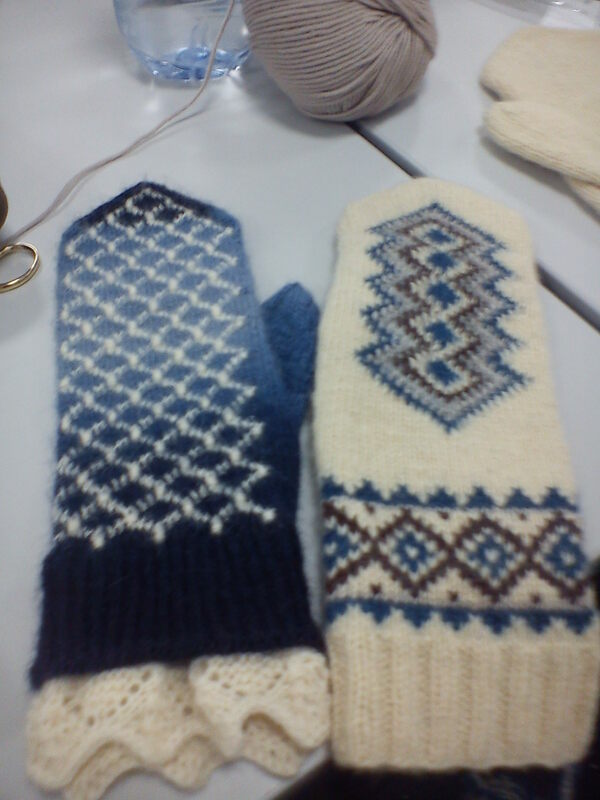 A whole day on Latvian mittens and two half day classes on beading. Contact Emma at the shop by phone or via her website or facebook. Learn how to adapt and redesign patterns to your own body shape, adjusting sleeve and body lengths and adding your own personal touches to your garment.If you have a pattern or project in progress you would like to alter bring it along on the day. We will learn quick and easy ways to produce shaping and add personalised details. 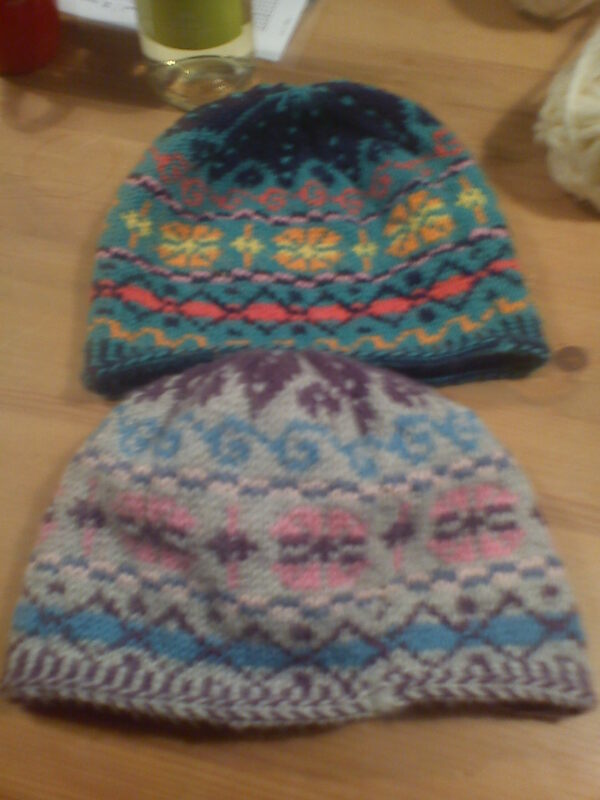 Explore the fairisle technique of colourwork knitted in the round on circular or double-pointed needles. 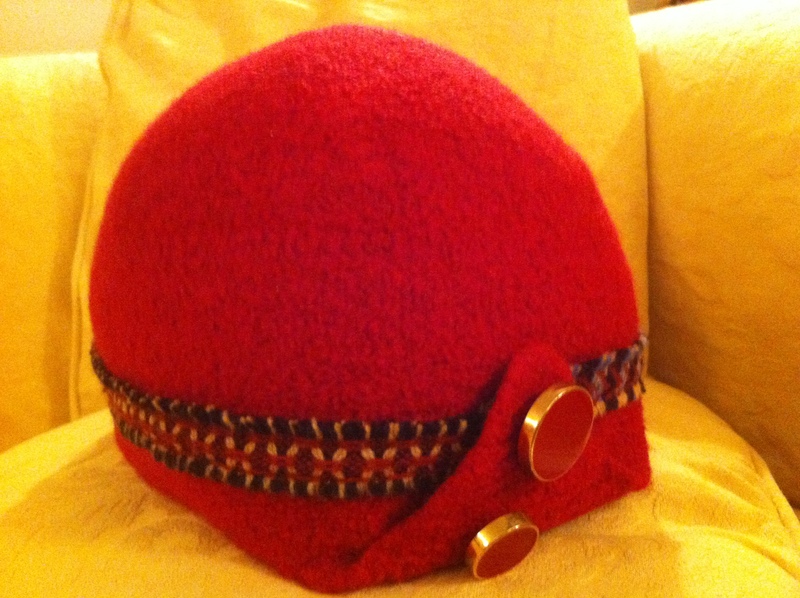 We will discuss cast on techniques and learn how to join in the round as well as different ways to hold the yarn for carrying the colours across the back of the work. Only knit stitches required! We will use a pattern designed by Gillian. 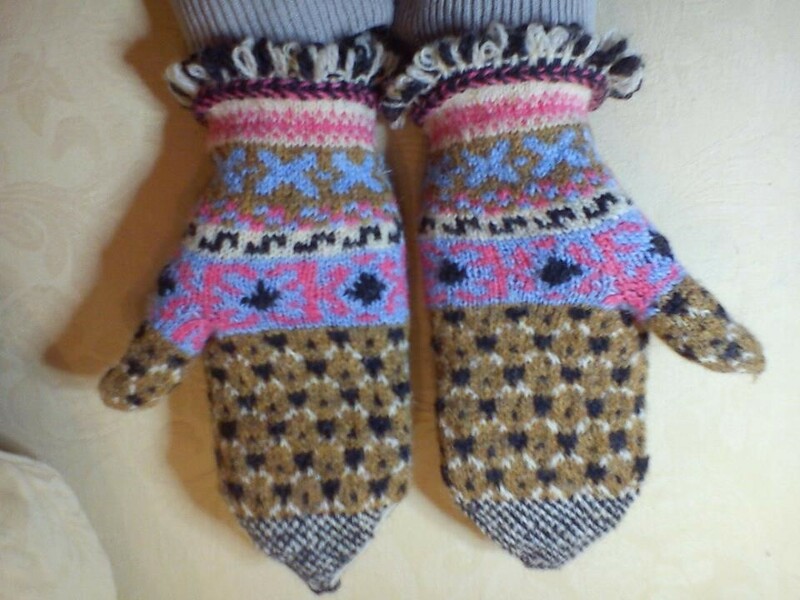 January 23rd 2016 Latvian Mittens. Fancy a New Year challenge? 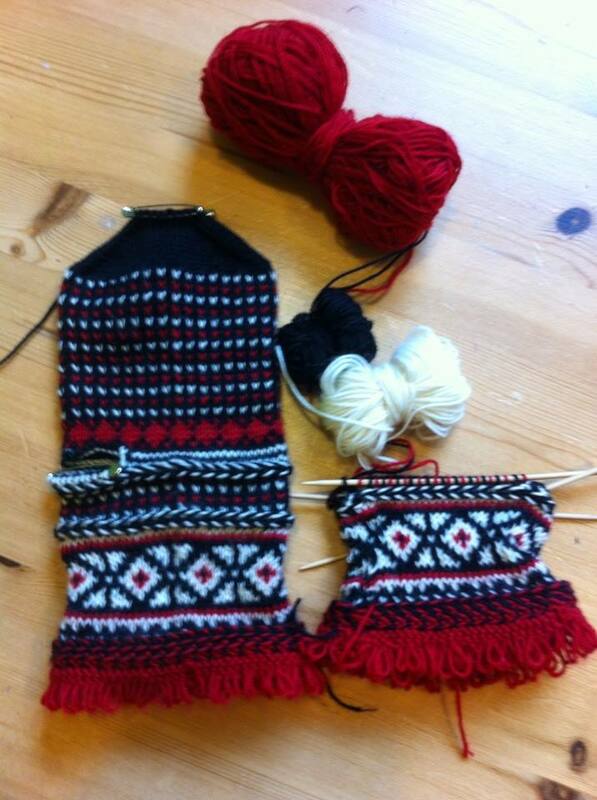 Learn to knit braids, scallops and fringes into these beautifully intricate mittens from Latvia. 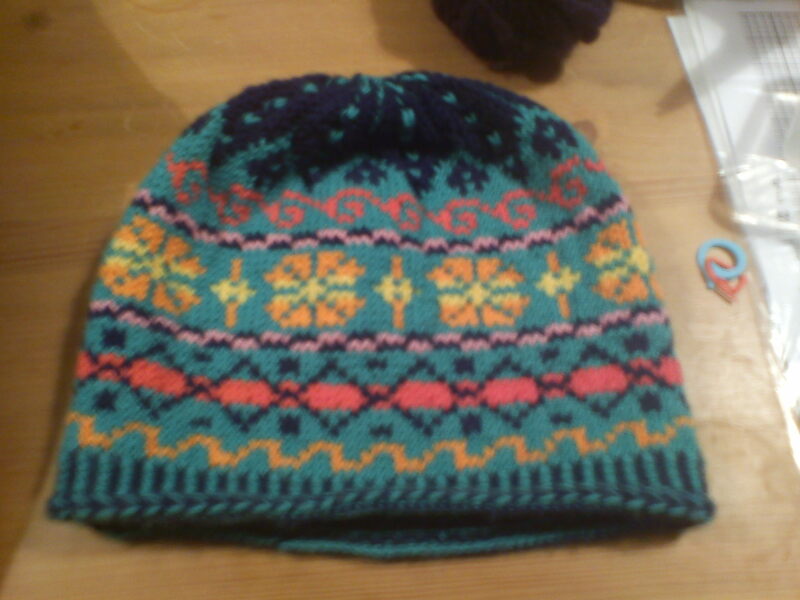 Knitted in the round on 2 mm needles using stranded knitting technique. 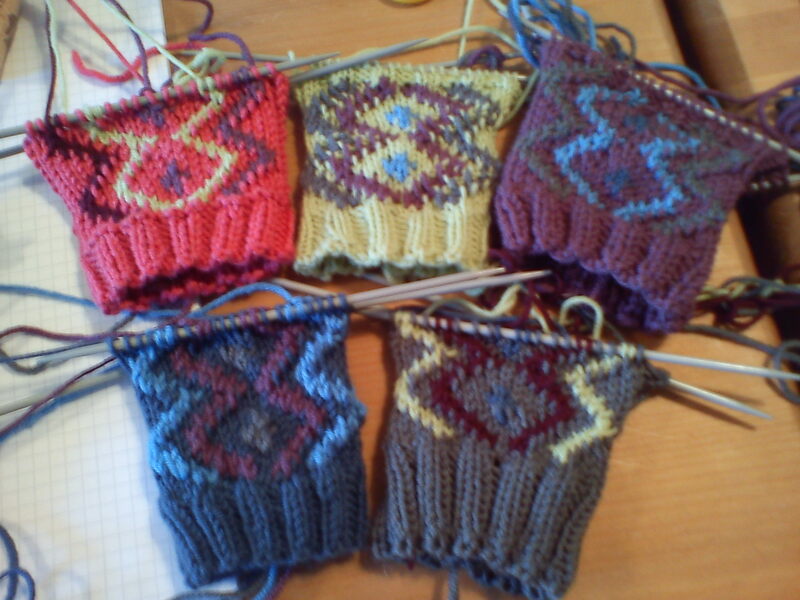 We will discuss the colours, origins and symbolism of patterns associated with Latvian knitting. 10.00a.m.-4.00p.m. Sock Heels and Toes. 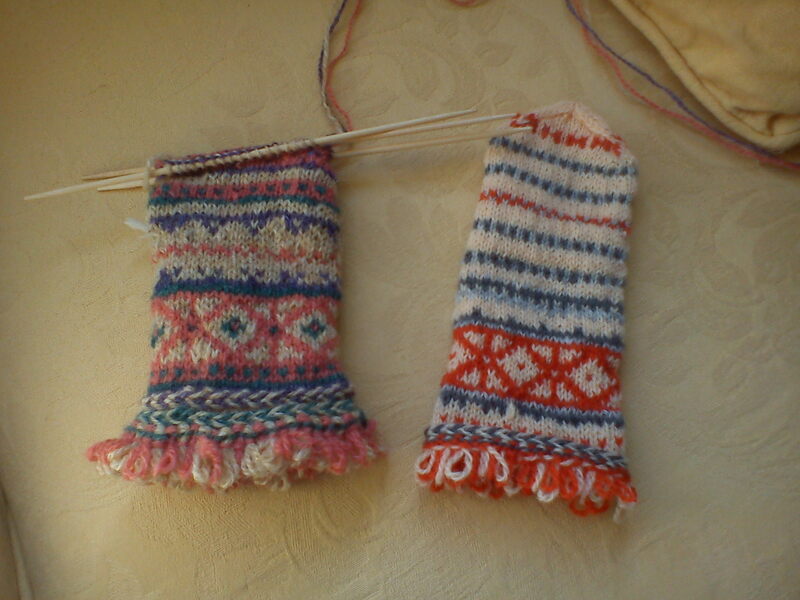 Different construction techniques for sock knitters who want to extend their skills and design their own socks. 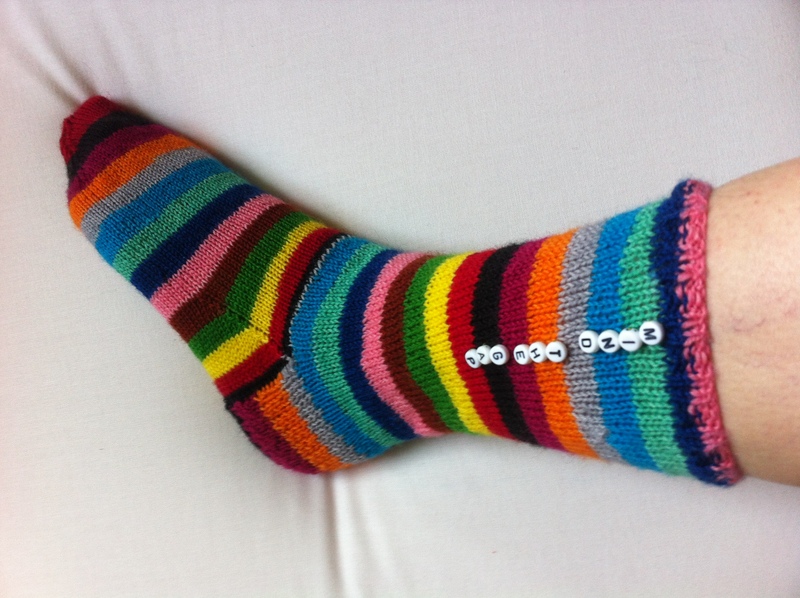 Come along and and have fun knitting mini sock samples, all with different toes and heels. We will also discuss custom fitting for any size of foot. 10.a.m.-4.00p.m. 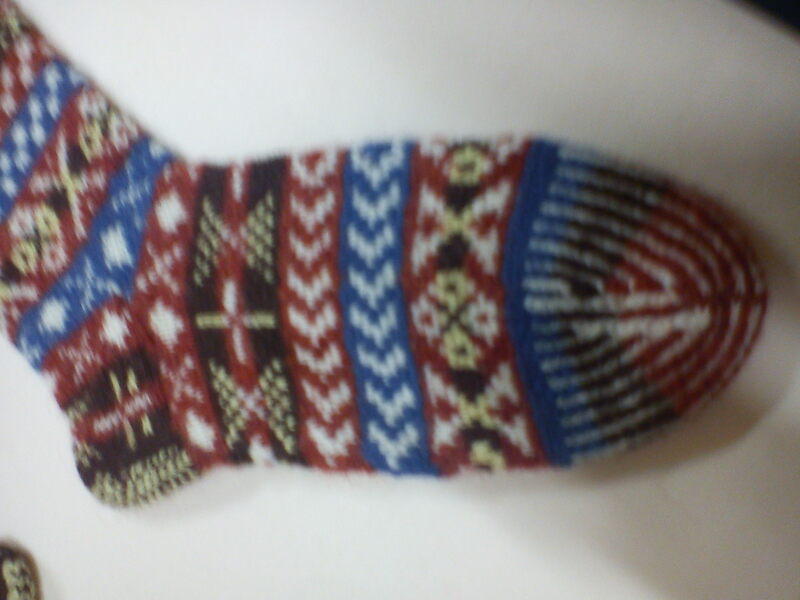 February 6th 2016 Mittens from Rovaniemi, Finland. Explore the fairisle technique of colourwork knitted in the round on circular or double-pointed needles. We will discuss cast on techniques and learn how to join in the round as well as different ways to hold the yarn for carrying the colours across the back of the work. Only knit stitches required! We will use a pattern designed by Gillian for either a child or an adult. 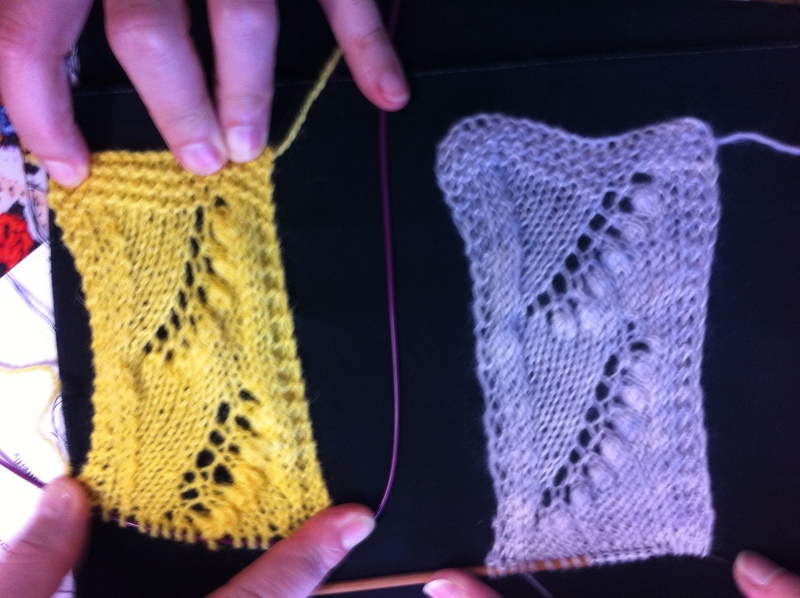 19th March 2016 Brioche knitting NEW VENUE ! 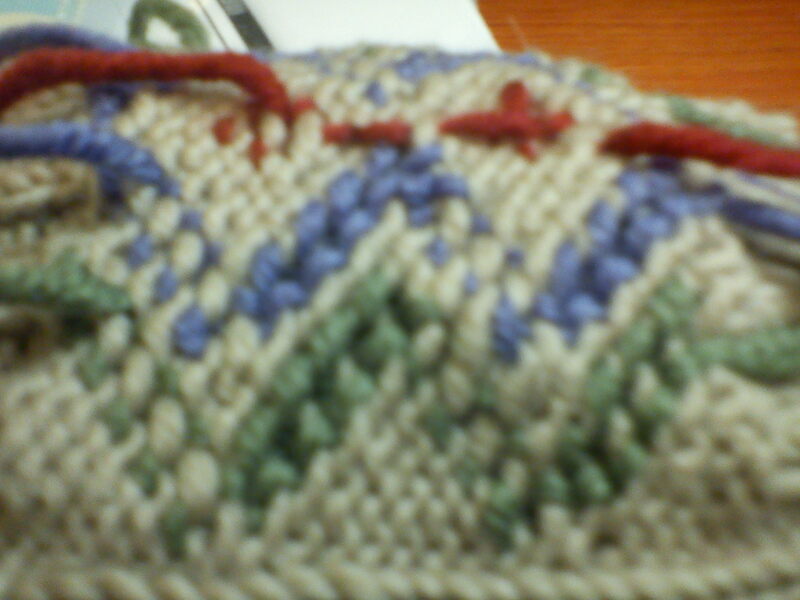 21st May 2016 Slip-Stitch Colourwork. 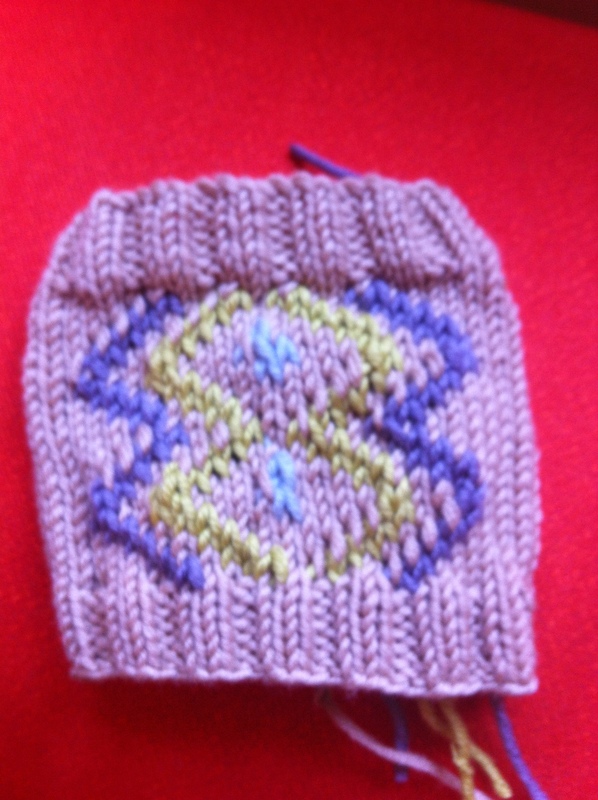 Colourwork knitting. A class in which we discuss colour theory, use of colour wheels and the natural world in design techniques. 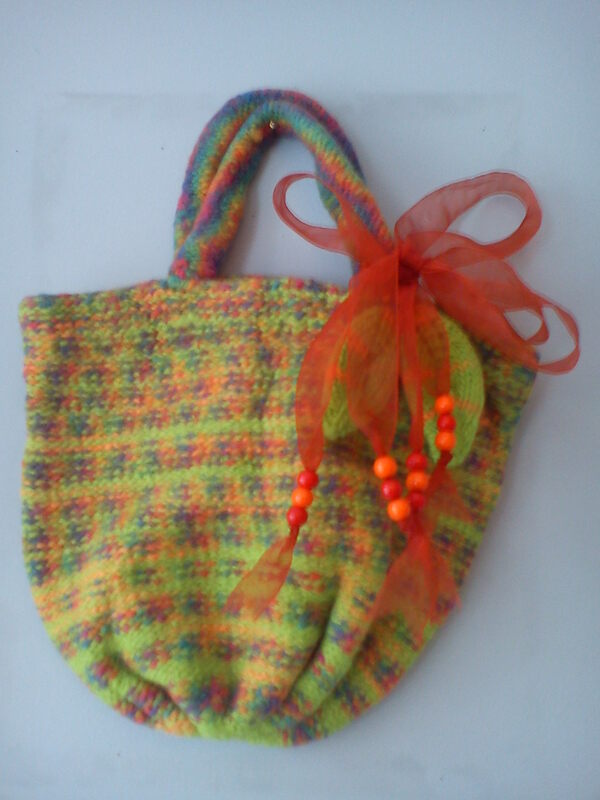 Learn to knit with colour using slip stitch patterns and variegated yarns. Take away samples to inspire your creativity!